Review: I Lovvvvvvvee It!!!! It came Packaged Well. No Smell in 6days... Colored Very Well, I Bleached My Knots,Tea Bag Tented The Lace to Match My Complexion,I Bleached And Colored Aqua and Indigo Blue and NOT a Bit of Shedding... I Plucked a Lil More Out My Hair Line to Emulate My Natural Hair Line!!!! I Absolutely Love It!!!!! 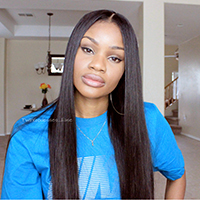 Review: Love this hair and the shipping was super fast. Review: I received my order very fast. The hair is soft and very bouncy there was minimal shedding. The frontal comes pre-plucked and will only need a little bit of additional plucking to really customize it to my hair line. I am very pleased with this unit. Review: The seller was so nice and made sure I was happy with my order. He was able to process everything really fast even though there was a holiday season coming up. 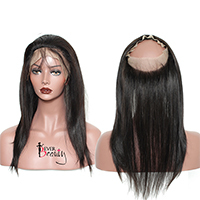 Frontal is easy to install and it is very natural. Only thing is that the lace is very light but you can just put foundation on it. I'm very pleased. Review: This hair was absolutely amazing! Haven't installed yet. 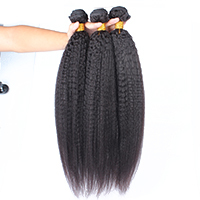 Review: I am very very happy with the quality of the hair, very fast shipment. I bleached my hair and treated it and it turn out amazing. I am in love with it, I will be purchasing more hair in the future. Amazing customer service. Review: It was very quick shipping. I had the unit in less than a week. And the hair is very nice. I didn't have to pluck a bit more though. But that's not an issue. I'll def buy again. Review: This was my first time ever ordering from everbeautyonline and I was extremely nervous but needed a closure ASAP. Ordered on Saturday received the hair on Wednesday. This is the best frontal I have ever had. 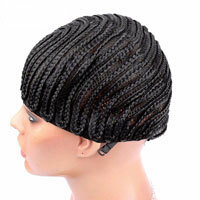 The hair is soft and has no tangling and no shedding. I tinted the lace with black tea to be a little darker for me and it tinted just fine, the hair was a little dry after that so I just put a little conditioner and that did the trick. I slept in the hair with no wrap to see if it would become matted and it didn't. I have the frontal installed not on a wig that I take off everyday so I am truly giving honest feedback. I paid for the hair with my own money and am not a blogger/vlogger. I recommend this frontal 100%.